👀 Who can view my content library? The content library automatically saves the digital content you add to a document in one central place. 👉🏼 Here are some points to keep in mind as to who can view your content library. 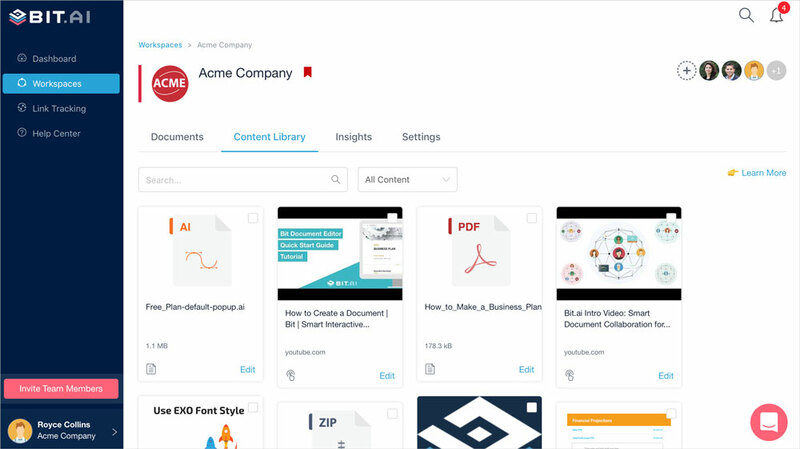 Any digital content that you add to a Bit document gets stored in a content library that is accessible by anyone who has access to that workspace. When a user is removed from a workspace they no longer have access to that content library. Any workspace that you have that is not shared with any collaborators has a content library that can't be viewed by any other team members. Web links to any website, product, article, etc.